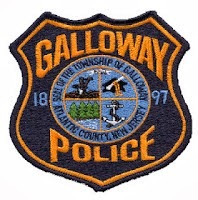 On August 1, 2016 at approximately 1:34pm, a Galloway resident called 9-1-1 and reported they had just observed a man with a handgun inside a four door Hyundai, on Collins Road, and provided a partial NJ registration. As officers responded to the area, Patrolman Nick Stewart observed the vehicle traveling south on Pitney Road. The vehicle was ultimately stopped on Pitney Road at Town Center Drive and the occupants were removed. A Ruger .380 handgun was recovered in a backpack on the rear seat, which was loaded with hollow-point bullets. It was later learned that the handgun was reported stolen out of Alabama. Small amounts of Marijuana and Cocaine were also located in the vehicle and/or on the occupants. Judge Freed was contacted who set bail at $100,000 for William Smith and $150,000 for Antoine McCoy. Both were lodged in Atlantic County Jail.